Paris-Saint Germain (PSG) were made to wait for another Ligue 1 title after being held to a 2-2 draw by Strasbourg on Sunday. 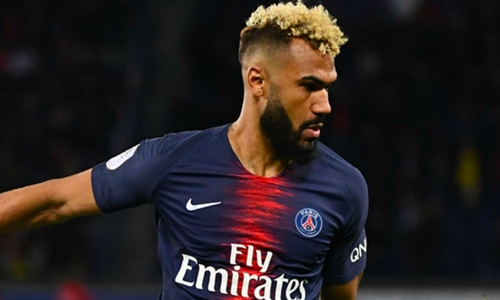 PSG will be disappointed with the result, given the fact that Eric Maxim Choupo-Moting made an embarrassing gaffe. After teammate Christopher Nkunku dished a brilliant past to Choupo-Moting, all he had to do is direct one into the net. The 30-year-old embarrassingly failed to do that as the ball went on to hit the goalpost before being stopped by a Strasbourg defender. Earlier in the match, it was Choupo-Moting who scored the first goal for PSG in the 13th minute before Strasbourg took the lead Nuno da Costa (26’) and Anthony Goncalves (38’). Thilo Kehrer, then, scored for PSG in the 82nd minute. PSG, who have won 26 off their 30 games so far (3 draws, 1 loss), are set to win their eighth title when they lock horns with Lille OSC on April 15.